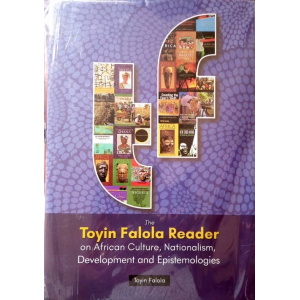 "Toyin Falola has given us what is truly rare in modern African writing: a seriously funny, racy, irreverent package of memories, and full of the most wonderful pieces of poetry and ordinary information. It is a matter of some interest, that the only other volume A Mouth Sweeter Than Salt reminds one of is Ake, by Wole Soyinka. 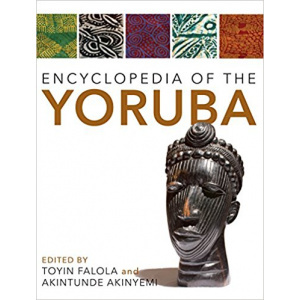 What is it about these Yorubas?" "A splendid coming-of-age story so full of vivid color and emotion, the words seem to dance off the page. 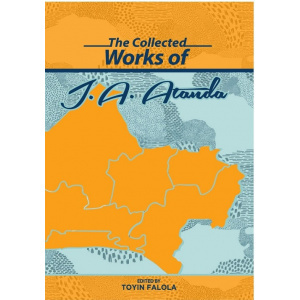 But this is not only Falola's memoir; it is an account of a new nation coming into being and the tensions and negotiations that invariably occur between city and country, tradition and modernity, men and women, rich and poor. A truly beautiful book." "More than a personal memoir, this book is a rich minihistory of contemporary Nigeria recorded in delicious detail by a perceptive eyewitness who grew up at the crossroads of many cultures." "The reader is irresistibly drawn into Falola's world. The prose is lucid. There is humor. This work is sweet. Period." 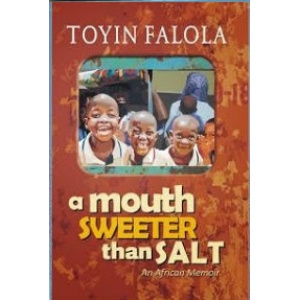 A Mouth Sweeter Than Salt gathers the stories and reflections of the early years of Toyin Falola, the grand historian of Africa and one of the greatest sons of Ibadan, the notable Yoruba city-state in Nigeria. 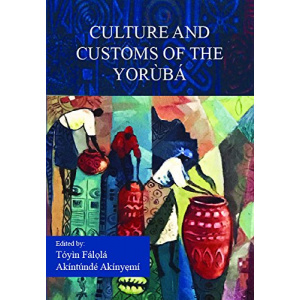 Redefining the autobiographical genre altogether, Falola miraculously weaves together personal, historical, and communal stories, along with political and cultural developments in the period immediately preceding and following Nigeria's independence, to give us a unique and enduring picture of the Yoruba in the mid-twentieth century. This is truly a literary memoir, told in language rich with proverbs, poetry, song, and humor. 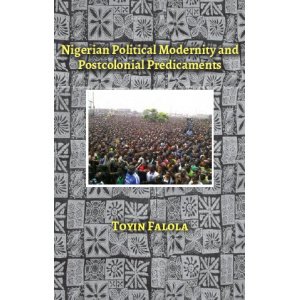 Falola's memoir is far more than the story of one man's childhood experiences; rather, he presents us with the riches of an entire culture and community-its history, traditions, pleasures, mysteries, household arrangements, forms of power, struggles, and transformations. 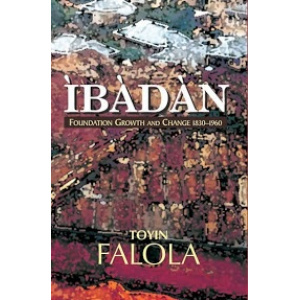 This is an unprecedented reference guide to the development of Ibadan from the last years of true African autonomy in the early nineteenth century through the onslaught of British colonialism, all the way up until Nigeria's independence. Grounded in the ideas of modernity and progress, this book dwells on the difficulties and challenges of transforming Nigeria. It offers an extensive conversation on political modernity, including a foundation laid as far back as the nineteenth century; the implementation of a number of policies and practices in the first half of the twentieth century; and the trajectories of change after the country's independence. 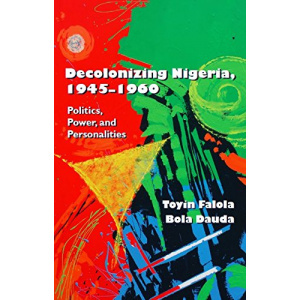 Arguing that the burdens of the past cannot be divorced from the challenges of the present, Toyin Falola also links the troubled present to an unpredictable future. 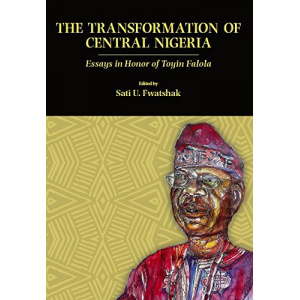 Using the scholarship of Toyin Falola as the entry point, The Transformation of Central Nigeria covers significant historical moments in the history of Central Nigeria, a region variously described as the North Central geopolitical zone in Nigeria's official circles and as the Middle-Belt by its indigenous populations. Centrally located in Nigeria and endowed with vast mineral and agricultural resources, Central Nigeria is a mini-Nigeria, for its ethnic diversity, complicated politics and conflicts. The main achievement of this volume is the analysis of the changes since the colonial period to the present. 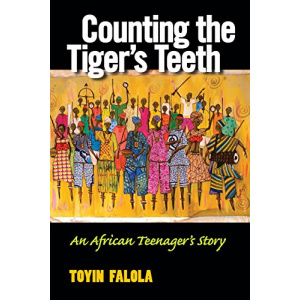 Counting the Tiger’s Teeth narrates a crucial turning point in Nigerian history, the Agbekoya rebellion (“Peasants Reject Poverty”) of 1968–70, as chronicled by Toyin Falola, reflecting on his firsthand experiences as a teenage witness to history. 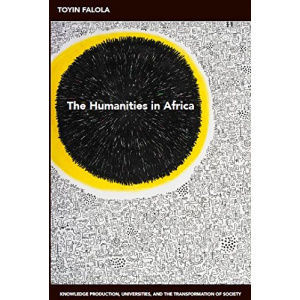 Falola, the foremost scholar of Africa of this generation, illuminates the complex factors that led to this armed conflict and details the unfolding of major events and maneuvers. The narrative provides unprecedented, even poetic, access to the social fabric and dynamic cosmology of the farming communities in rebellion as they confronted the modernizing state. The postcolonial government exercised new modes of power that corrupted or neglected traditional forms of authority, ignoring urgent pleas for justice and fairness by the citizenry. What emerges, as the rural communities organized for and executed the war, is a profound story of traditional culture’s ingenuity and strength in this epic struggle over the future direction of a nation. Falola reveals the rebellion’s ambivalent legacy, the uncertainties of which inform even the present historical moment. Like Falola’s prizewinning previous memoir, A Mouth Sweeter Than Salt, this engagingly written book performs the essential service of providing a way of walking with ancestors, remembering the dead, reminding the living, and converting orality into a permanent text.